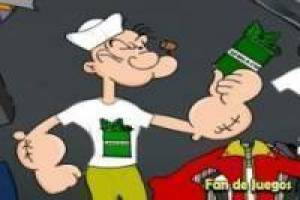 Popeye is one of the great classics of children' s cartoons. Who does not remember the sailor who becomes very strong when eating spinach and how many we have fun with his adventures against Brutus trying to conquer Olivia. 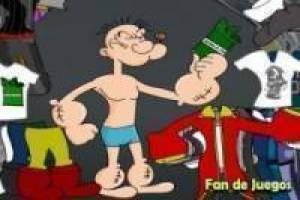 Now you can have fun again with your favorite character in the Popeye dress up game. You have a lot of clothes in this game so you can make different combinations and dress them to your liking. You can select some pants, a t-shirt, a coat, a hat, etc. You can also opt for full suits and only have to worry about putting a complement. You can dress him as a pirate, a diver and many more. 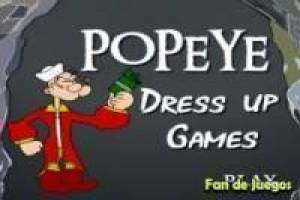 Enjoy the game Popeye dress, it's free, it's one of our Popeye games we've selected.